Most people today are hungry for greater simplicity - desperate, even, to recapture the clarity they experienced earlier in life when there were fewer distractions, more important goals, and rules to life that made more sense. I will help you to find that greater simplicity and clarity that connects you to your sense of purpose, the source of energy that gets you out of bed in the morning and ready to tackle the day. 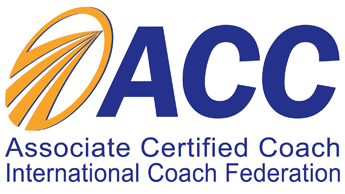 Why employ a personal coach? It may seem like an extravagant luxury in a modern age of austerity. And to some, it is. However, let me offer some alternative interpretations. If you're affected by the economic downturn, coaching may be the last thing on your mind. (Except that you are here reading this site.) We have a hierarchy of needs (enumerate by Maslow) that starts with physical needs such as food and shelter, and escalates to levels such as career fulfilment and enlightening transcendence. Those higher levels may seem to be the exclusive hunting grounds of personal coaches. And indeed, coaching tends to focus on those higher domains of being. But I suggest instead that when you are in dire straits, that is the time when you especially need a breakthrough. Certain images from the Great Depression, for example, reinforce this: people desperate enough to risk everything on gambling (at the negative end of a scale), or a new invention (at the other end). The Depression saw an unparalleled surge in new technology and creativity as people sought to gain the edge that would make the difference between survival and failure. When the stakes are that high, learning how to leverage your unique skills to the fullest may not be simply for trading up to a Lexus, but instead be what keeps a roof over your head. Even if you aren't threatened with imminent homelessness, know that you are in competition with people who are, and that threat has immense motivational effects upon them. Bottom line: The competition has never been stiffer. The stakes have never been higher. How are you going to differentiate yourself to come out on top? During a downturn, we squeeze the most out of every asset (see the section on personal finance elsewhere on this site). Every dollar we have is stretched to its limit. Every tool we have is pressed into service to the fullest, doing double or triple duty as we creatively improvise to avoid unnecessary expenses. Your abilities to make money and cut expenses are the most fundamental of those tools. Are you making the most of them? Have you uncovered all your latent talents? Have you exposed the blocks that you unconsciously put in the way of expressing your abilities to their greatest extent? When survival is at stake, you need all the help you can get, and you need (with apologies to the US Army) to be all that you can be. When the going is so tough that you feel that you're all alone, having a personal coach on your side--a relentless force for positivity that, Terminator-like, absolutely will not stop until you are successful–can haul you out of the common rut and give you the extra edge that in flush times would mean the difference between living exorbitantly and merely living well, but in straitened times means the difference between living comfortably and falling into the abyss. There are as many definitions of coaching as there are people to coach, and people to coach them. Coaching is a uniquely personal journey, and what you take from it will be different from what anyone else you know has experienced. The fluid nature of coaching hints at the primary skill of the coach: To mold the experience to fit your needs and goals. Connection: You will connect to resources within yourself that have been neglected, abused, or ignored. These parts of yourself hold strength and energy to sustain you through your trials and quests. Challenge: You will be challenged to stretch beyond what is usual, ordinary, or easy for you. Change: Everyone who comes to coaching is looking for change within themselves. The changes that result may or may not be what you first thought you wanted, but they will be the right changes. Celebration: The healthy culmination of change is celebrating your achievement, to complete the cycle so that more cycles can begin. These phases of coaching will come from within you, and not be imposed upon you by your coach. The coaching journey is one where you decide where to go, and you take the steps. The coach is your guide, confidant, and companion on the way.